It’s time to move house. For many, that’s plenty stressful enough. But for the parents out there who must take on a move with kids in tow? Well, that adds an extra layer of difficulty. Moving home is often an emotional process, and can be especially so for young children. Kids must face the plunge into the unknown and that’s always confusing. But there’s a lot you can do to help ease this process; there are methods for navigating this journey. 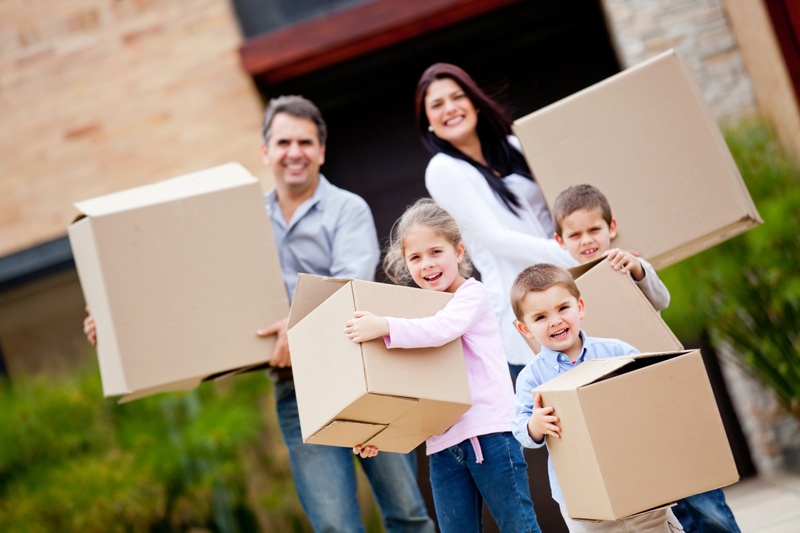 In this blog we’ll break down some key insights about moving with kids. We’re confident that there’s a lot here to help you reduce the stress of your move, cutting away the anxiety and ushering in the excitement. In addition, feel free to download any of our Moving House Checklists for a complete step-by-step guide. Honest, emotionally available communication is an essential part of nurturing your child’s health and wellbeing. When facing difficulty and upheaval—as can often be experienced in moving—open communication only takes on a more important role. Where possible, explaining to your child why the move is taking place and what to expect throughout the process is going to provide an element of order to an otherwise chaotic situation. This sort of conversation might be a challenge at first. It’s likely to be emotional with little chance of smooth sailing. But that’s okay, it’s all part of dealing with the storm. Practically speaking, it’s a great idea to bring up features of your new home or location that are bound to excite your child. Consider mentioning how fun it will be to decorate their new room. There may be an inviting sense of independence your child will feel at that prospect, giving them something to look forward to. Consider making a list of all the exciting attractions in your new neighbourhood. Maybe that’s parks and shops, maybe it’s playgrounds and swimming pools, movies and bowling. During the moving process, much of normal living life may be disrupted. Disruptions to routine provide an additional layer of confusion for your children. One thing you can do to alleviate this pressure is to plan your moving weeks so that regular activities go on as usual. Whether it’s sports practice, or an activity you do with your children, maintaining certain elements of routine will provide a semblance of regular structure which can be comforting for children. Of course, depending on the nature of your move, maintaining your usual routines may be particularly difficult. For long-distance moves in particular, you’ll have to employ other strategies. When it comes to moving day, for example, make sure to have an activity ready to occupy your kids. It’s important for your children to be part of the moving process to some degree, but you’ll have to strike the right balance. For particularly difficult moves, the services of a professional and reputable moving company will take much of your stress away on the big day, leaving you free to help guide your children. It can often help to provide your children with a special box or container in which they can pack their precious belongings. Knowing that they have their most important things in a safe and easily accessible place is a great help for kids during the moving process. By allowing your children to pack a special box containing many of their cherished items, you’ll be providing an anchor of security and comfort. When you’re moving with kids there’s a lot that can change. Emotions are likely high for both yourself and your children, and this may mean you can’t hold firm to your plans all the time. With this knowledge in mind, it makes sense to allow yourself to be flexible when it comes to the little things that don’t quite go as planned. For this reason, make sure that you begin to plan for your move with lots of time to spare. This means that when things get in the way, you’ll have time up your sleeve. Coming to terms with change is difficult. But coming to terms with the reality of your move is important for your children moving forward. By encouraging your children to honestly realise that the move is occurring, they will be better able to say farewell to aspects of their environment that they will no longer see. No one says that goodbyes are easy. But faced with honesty and courage, they make way for positive new beginnings.